The White-winged Chough is superficially similar to choughs of the crow family, but is not closely related. 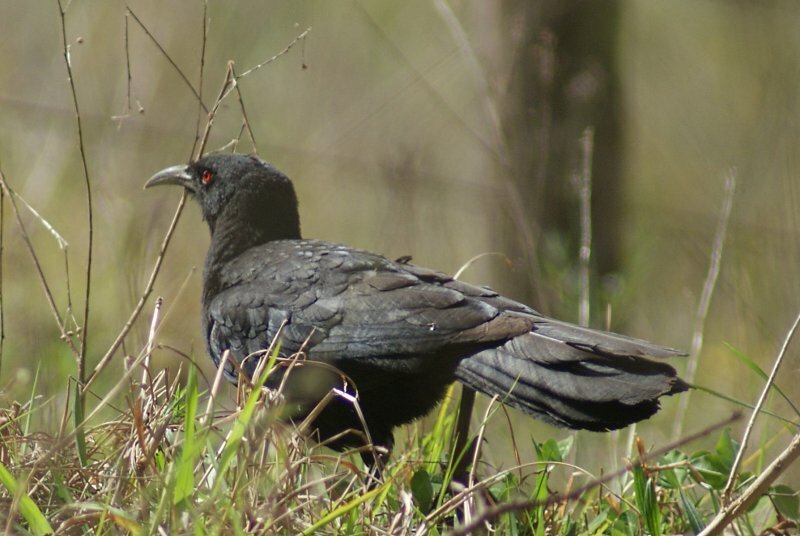 They are a common bird of farmland in parts of eastern Australia and have complex social lives. As such, they are usually found in groups. The name refers to the white patch on the wing, which isn't usually visible when not flying.